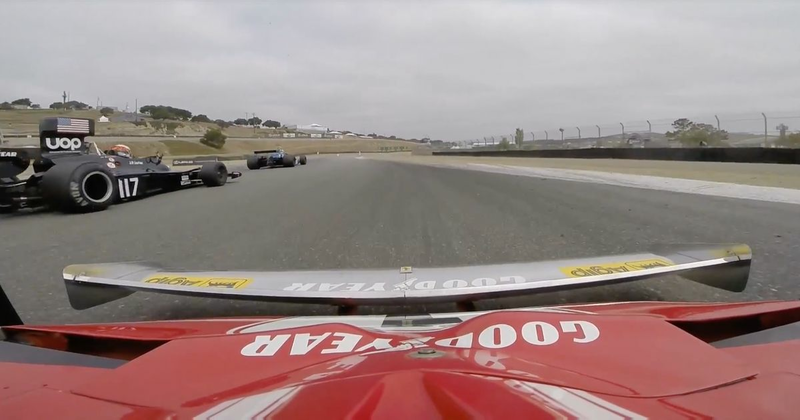 Historic F1 races are usually filled with cars powered by the ubiquitous Cosworth DFV but at Laguna Seca last month, there was a Ferrari in the field. And not just any Ferrari: this is the 1976 312T2 that Niki Lauda drove to victory in that year’s Belgian and Monaco Grands Prix (albeit driven by Chris MacAllister). It’s great to both watch and listen to. Although 20 minutes seems like a long time, it’s one of those things that’s actually really hard to stop watching. Every now and then another classic F1 car will go past. Will it be a Williams? A Tyrrell? A Shadow with a massive airbox? It’s intriguing. And in a strange way, also incredibly relaxing.